Originally from Lynchburg, Virginia, Rev. Paul Doyle, C.S.C., became the rector of Dillon Hall in 1997. He earned both his Bachelor’s degree in Economics and his Master of Divinity degree from the University of Notre Dame. Before becoming a rector, Fr. 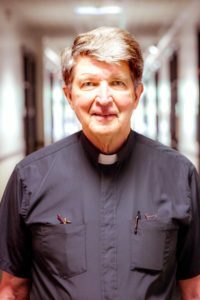 Paul served as pastor of St. Joseph Parish in South Bend, Assistant Superior of Moreau Seminary, and as Director of Old College, an undergraduate seminary program at Notre Dame. He also served as the religious superior of Corby Hall and as a member of the Officers’ Group and the Board of Trustees for the University. In his spare time, Fr. 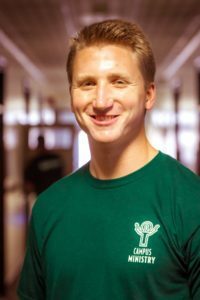 Paul enjoys liturgy, history, Notre Dame athletics and showing people around the Michiana area. Brendan is from Erie, PA, where he attended high school at Cathedral Prep. 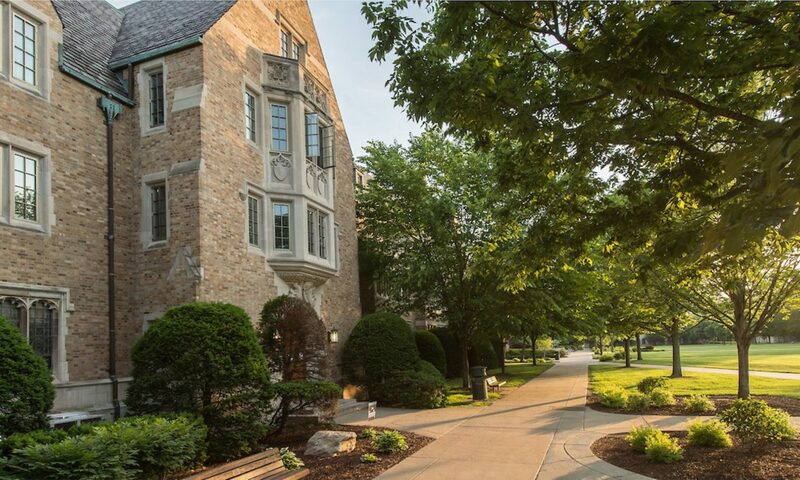 He graduated from Northwestern University and worked in Washington, DC before enrolling at Notre Dame Law School. He will graduate from the law school in May 2018 and will start his legal career at a law firm in Chicago. 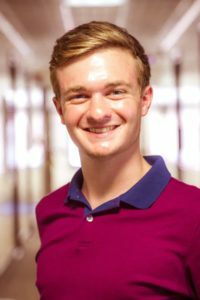 Nelson is Program of Liberal Studies major and Business Economics minor from Ellendale, MN. 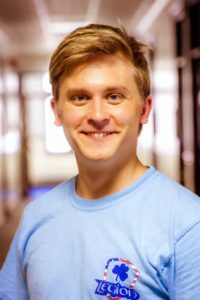 He is involved in the Notre Dame Liturgical Choir, the Dillon Hall soccer team, the Center for Ethics and Culture, and Pasquerilla East Musical Company (PEMCo). Last spring, Nelson studied abroad in London. His favorite place on campus is undoubtedly the dining hall, and he is always down for sports on the quad. 5’ 7.5”, slight build, blue eyes, and a frequent stir-fry customer in south dining hall, Michael enjoys the finer things in life. Hailing from Southern California, Michael hangs not one but two Cali flags in his room. In high school, he served as captain of the B-team in freshman football—it’s okay to be jealous. Last year, Michael travelled in 16 countries (this year he’s only been in 1). A computer science major, Michael has actually never seen Stars Wars or Star Trek and plans to keep it that way. Michael has a business online where he photoshops people’s faces for money which arguably helps their self-esteem? While not waking people up with the Dillon chapel piano, Michael can usually be found watching Arrested Development, doing software development, or using the handicap stall despite not actually being handicap. Jack is from Charleston, South Carolina. He majors in the Program of Liberal Studies, which is nothing what it sounds like. While he loves Notre Dame, the Midwestern accent can drive him a little crazy. Here is a brief list of things Jack loves: cheddar Goldfish, Baroque music, a nice fitting pair of chacos (with or without socks), kicking the ball around, the Avett Brothers, watersports, bluegrass, old books, Land Rover Defenders, Vespers, Mad Men, and America. Jack is open to loving new things and, if you love it, Jack will probably love it too. Jack always orders both teriyaki and Sriracha on his stir fry, never drinks coffee, and has never run a sub-7 minute mile. This summer Jack is working in Montana – ask him about it. Jack hates writing about himself in the third person but has to do it sometimes anyway; he loves living in the best hall on campus with the greatest guys in the world. Originally from Gaithersburg, Maryland, situated just outside of the capital of the free world, Simon is practiced in the art of writing about himself in the third person from years of high-school theater. 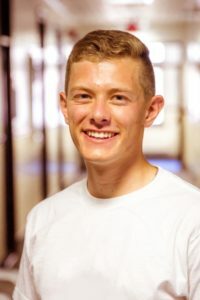 He has chosen a one-two punch double major in Theology and the Program of Liberal Studies (also known as the Program, also known as the Book Club), and has been a member of the Notre Dame Folk Choir since freshman year, which, like the Program of Liberal Studies, is not what it sounds like. Simon is an avid consumer of philosophy and breakfast sandwiches who enjoys dancing, editing Wikipedia pages, and leaving a good voice-mail. He is not on Facebook, so don’t look. Just come meet him like a normal person. Ask him about his experiences in Peru or his attachment to the color cabernet. 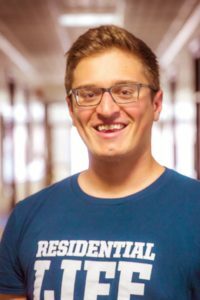 This is Simon’s first year in Dillon, but he is incredibly excited to be living in the biggest, best, and humblest dorm on campus. 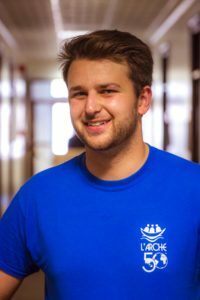 Hailing from the Great State of New Jersey, Michael’s lifelong dream since birth was to be a RA in Dillon Hall. 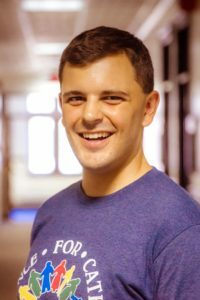 During his freshman year at Notre Dame, Michael got his first big break as a radio personality when he became the co-star for WVFI’s “Some Dudes from Dillon.” From there, he climbed the ranks of power to become Dillon’s senator in a very hard-fought, uncontested race. In his spare time, Michael spends time double-majoring in political science and economics. Occasionally, he enjoys writing strongly worded letters to the Observer, but you can usually find him reading the newspaper and drinking Starbucks coffee. Not many people know that Michael’s favorite color used to be red, until he changed it to blue in the fifth grade. Regardless, everyone knows that Michael’s favorite home is Big Red. Coming in cold from the great, white, North, AJ Derouin, a true lover of lutefisk, hockey, and lake water, is from Willmar, Minnesota, unofficially the officially coldest place in the northern hemisphere. 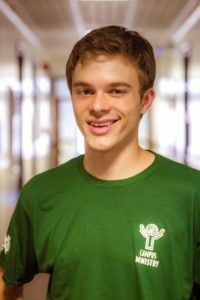 He wasn’t able to get all that he wanted out of Notre Dame his first four years, so he will be returning this year as a fifth year architecture major with minors in International Development Studies, and Education, Schooling, and Society. 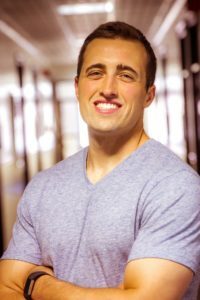 After spending three years in Morrissey, a couple of months in Uganda, and one year in Rome , AJ knew the only way he could move up in the world was by moving to a dorm where he could eat free milkshakes every week and live in the community with the largest density of bros on campus. When he’s not in Dillon, he’s probably hanging out with members of the Notre Dame Marching Band, spending an exorbitant amount of flex points on Starbucks coffee, or giving campus tours. If you ever want to learn about the different types of bricks on campus, he has a 1.5 hour monologue just for you. Steven Jessen-Howard is from Woodbury, Minnesota, something he’ll obnoxiously remind you of every time anyone complains about cold temperatures. He’s majoring in Political Science and minoring in Sociology, Public Service, and Procrastination. After a semester in Chile last fall, he moved into Dillon and his section hasn’t lost a basketball game since (correlation ≠ causation). When he’s not sneaking massive quantities of Cracklin’ Oat Bran out of SDH, you can catch Steven on the interhall soccer and cross-country teams, hopelessly trying to convince people that South Bend isn’t that bad as part of Student Government, talking to his fellow triplets, or referring to ND sports teams as “we.” Go Big Red! 5’ 7.5”, dad-bod minus the muscle, green eyes, and a frequent fro-yo customer in south dining hall, Brendan enjoys the finer things in life. His favor can be won with a nice cigar, as he can frequently be found on South Quad moving the ball around the yard Ditka style. Speaking of football, I’m a two-time section football runner up but that’s going to change this year. Hailing from “the city of champions” (Cleveland, Ohio) I’ve come to expect excellence in sports. Something about growing up in Cleveland and going to school in South Bend has really struck up some wanderlust in me, as I’ll spend any free week road tripping. If you can name a national park, I’ve probably been there or plan to go soon. Aspirations after graduation include being unemployed and living in a van down by the river. At least before going into a career in nonprofit administration – if volunteering is to be a big part of your college experience, as it should be, I can help you find something great. Go Big Red! It’ll be the time of your life as it has been for me! 5’ 7.5”, slight build, blue eyes, and a frequent stir-fry customer in south dining hall, Paul enjoys the little things in life. Paul has spent his last three years living in Carroll Hall, but has become accustomed to moving having lived in Arizona, upstate New York, Connecticut, and now Florida. 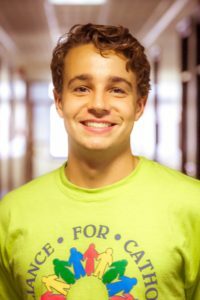 He is a mechanical engineering major that loves playing most any board games. He is also up to play any sport and loves watching movies. If you think you have a big family, Paul is number 5 of 7, and he is excited to join the largest family on campus. Go Big Red.